(JEFFERSON CITY, Mo. )–Richard L. Oswald of Fairfax, Mo., joined a select group of nine farmers in Jefferson City Dec. 14-15 as part of the inaugural class of the Missouri CornRoots Leadership Academy sponsored by the Missouri Corn Growers Association (MCGA) and Missouri Corn Merchandising Council (MCMC). Designed to identify future grower-leaders and provide tools to increase grassroots involvement, the first CornRoots session kicked off Wednesday with growers from across the state. Throughout the program, Oswald took part in sessions focused on the value of grassroots, effective leadership, public speaking and policy involvement. The class also visited the State Capitol to gain a better understanding of the policy process and how to effectively communicate with urban and rural legislators. 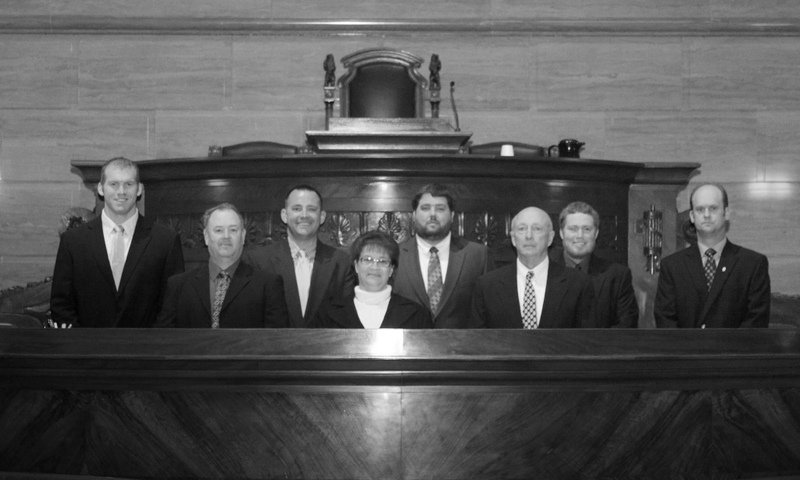 Oswald was nominated to the CornRoots program by members of the Missouri Corn board. He is Pioneer sales representative and is also involved in his family’s corn and soybean farming operation. He serves on the Community Hospital-Fairfax board and as treasurer of the English Grove Cemetery Association.